The Strategic Innovation Fund (SIF) is a Canadian government funding program that provides support for technology development and productivity-boosting projects. It promotes large-scale investments in Canada, while also encouraging technology transfer and development/commercialization of disruptive products and services. The Strategic Innovation Fund reduces eligible project costs by up to 50%; this helps businesses improve productivity and innovation, while also improving the project’s scope, scale and timelines. Eligibility criteria determining who can apply for the SIF fund largely depends on the type of applicant (either a business, non-profit, academic institution, etc.) and industry an applicant operates in (such as advanced technology, manufacturing, etc.). Continue reading to learn whether your upcoming project is eligible for Canadian government funding through SIF. Program Overview: What is the Strategic Innovation Fund? The Strategic Innovation Fund is a Canadian government funding program uniquely targeted at Canada’s industrial and technology sectors. It offers financial contributions (both repayable and non-repayable) valued up to 50% of project costs with the purpose of promoting investment into the types of activities which drive sustained productivity and economic benefits. The amount and type of financial support offered by SIF is allocated on a case-by-case basis, as determined by the funding application review committee. Eligible: Small, medium, and large businesses incorporated pursuant to the laws of Canada, who propose to do business in Canada and execute their project within the country. Ineligible: Non-incorporated businesses (i.e. startups and early-stage companies). Eligible: Consortiums including Canadian post-secondary institutions, research institutes, for-profit businesses, and non-profit organizations. Ineligible: Single entities; this stream focuses on collaborative projects with a group of partners. Improving current products/processes by implementing new technologies that enhance competitive capabilities. Improving manufacturing efficiency through improvements to plant, equipment, or processes. Obtaining a production mandate for products being produced for the first time, or previously produced outside Canada. Advancing new technologies into product-specific applications. Unreasonable compensation for officers and employees. Strategic Innovation Fund Awards $1.1M to Lakeside Plastics Ltd.
SIF for Research Consortiums and Non-Profit Networks: Learn more about SIF’s fourth stream devoted to collaborative research and development projects. Strategic Innovation Fund: Support for the Steel and Aluminum Industry: Discover how SIF funding will improve the competitiveness of Canada’s steel and aluminum industry. To apply for streams 1, 2, or 3 of the Strategic Innovation Fund, businesses must complete a two-stage application process, however, applications may be submitted year-round. To get started, companies must submit a Statement of Interest (SOI) to propose their project concept. If approved, applicants will be invited to submit a full application which will then be reviewed for due diligence and a benefits/contribution assessment. Being accepted to the full application stage does not guarantee innovation funding; each application is critical to ensuring funding success. To apply for stream 4 of the Strategic Innovation Fund, consortiums must apply during a single annual intake period. Consortiums must also follow a two-step application process including a Statement of Interest (SOI) and due diligence assessment. A pool of potential projects will be identified after stage two, at which point a final decision will be made by the Minister of Innovation, Science, and Economic Development. How are SIF Applications Evaluated? Innovation Benefits: How well the project contributes towards the enhancement/development of new innovations. This includes potential spill-over benefits, creation of intellectual property, and impact on productivity. Economic Benefits: How well the project impacts growth of Canadian firms, clusters and supply chains, as well as its expected benefits for Canada’s workforce. This includes number of jobs created, number of high-paying jobs, and project-related revenue growth. Public Benefits: How well the project contributes to the broader public, such as inclusive business and hiring practices, investment in skills and training and environmental best-practices. technical capability, financial stability and capacity, and market risk. Statement of Interest: A high-level overview of projects. Here, applicants can describe the project and explain how it meets SIF’s objectives. Applicants are also asked to provide corporate information so that basic corporate capability assessments can be completed. Full Application: If advancing to step 2 is advisable, applicants will be contacted and invited to submit a detailed project application. This information is used to complete a due diligence and benefits assessment. Considering how SIF can support your upcoming project? Contact Mentor Works to evaluate whether your project is a good fit. 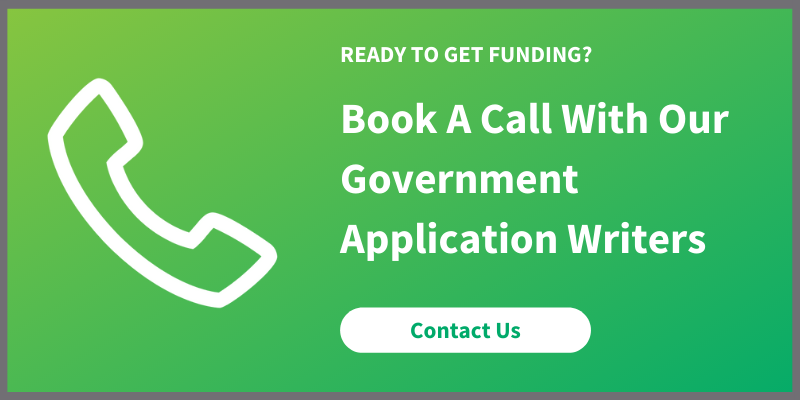 Our team can help you align your upcoming project for SIF funding and streamline the application process with time-saving info collection documents and a dedicated team of writers. Posted: July 7, 2017 by Jeff Shepherd. Updated: December 19, 2018 by Jeff Shepherd.